Digi-Schlock: THE FUNHOUSE (Scream Factory Blu-Ray) – Schlockmania! 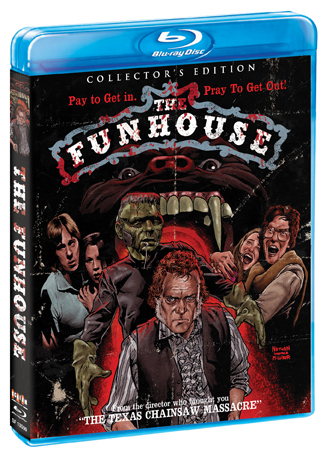 The Funhouse spent many years as one of those horror titles that exists in what you might call “catalog title purgatory”: it was popular enough to stay in print on VHS and DVD yet wasn’t valuable enough to its parent company to earn the honor of a true special edition. Thankfully, Scream Factory has stepped in to give this deserving title the “bells and whistles” treatment – and the results are an upgrade that will make ’80s horror fans smile. For starters, the transfer is fantastic. Andrew Laszlo’s cinematography has a challenging mixture of vivid primary colors juxtaposed with shadowy night scenes but this anamorphic transfer handles every visual shift in high style. The colors burst off the screen, the black levels have a velvety richness and the imagery as a whole is sharp and lovingly detailed. Fans will be happy to know the disc preserves the original 2.0 Dolby Stereo mix – but it also offers a brand-new 5.1 remix. The latter option was utilized for this review and it’s a keeper. The soundscape has a new depth and power in this mix: the directional effects in the funhouse sequences enhance their nerve-jangling quality and John Beal’s excellent musical score has a whole new level of punch to it. Indeed, the opening bursts of strings and horns in the main titles sequence might knock you off your couch the first time you hear them. Scream Factory has also produced an all-new set of extras for this set so anyone who already owns the English blu-ray of this title from Arrow can rest assured there is no overlap. The extras package begins with a commentary track that pairs director Tobe Hooper wi th fan and fellow director Tim Sullivan. 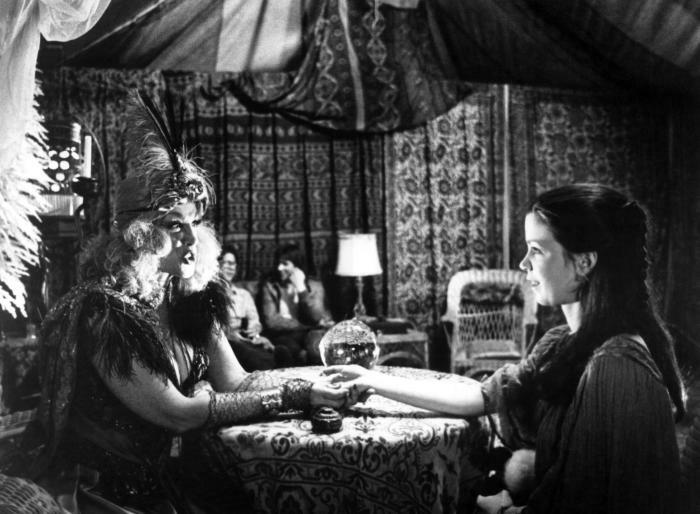 The two maintain a nice, steady dialogue throughout the film. Sullivan is a very enthusiastic moderator, pumping out plenty of questions to keep Hooper primed. The one downside of his enthusiasm is he occasionally steps on Hooper’s answers but since Hooper can be a little mumble-y at times, it’s good that Sullivan keeps him engaged. The resulting track is worth a listen: Hooper’s memory gets fuzzy on the occasional details but he share some interesting tidbits about working with Sylvia Miles, discusses how child actor concerns lead to Florida being chosen for the shoot and even briefly mentions how he and John Milius tried to get a Texas Chainsaw Massacre sequel going in the late 1970’s. The conversation sidesteps the more controversial aspects of the shoot (there were some budget/schedule problems that go unmentioned) b ut fans of the film will still want to hear the tales that do get told. This disc also features a trio of new featurettes from Red Shirt Pictures that were produced by Aine Leicht and edited by Michael Felsher. 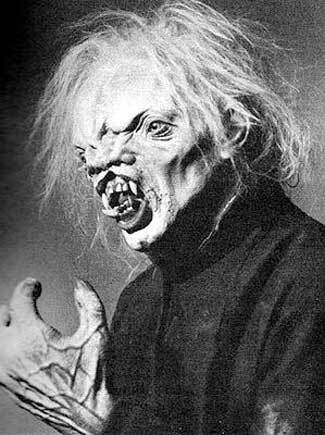 “The Barker Speaks!” features actor Kevin Conway sharing his memories about the film. He discusses how he came up with the idea of playing multiple barkers in the film and shares a funny story about his mother critiquing Tobe Hooper’s work. “Something Wicked This Way Comes” is a fascinating segment with producer Mark L. Lester, who is better known for directing films like Commando and Class Of 1984. He gives the viewer the lowdown on the film from the producer’s chair, talking about how it grew from a low-budget quickie into a studio film and also revealing how the opening of the film was a reshoot. 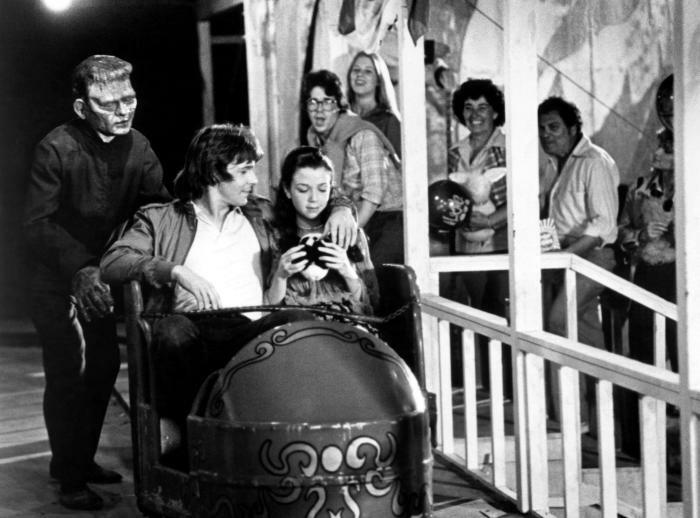 The last and best of the featurettes is “Carnival Music,” a featurette that acknowledges the soundtrack’s cult following by allowing composer John Beal to discuss his work. He discusses his background as an arranger, chronicles how he achieved different musical effects in the film’s score and discusses with amusement how he’s constantly asked about his work on this film. Fans of the film will be very happy to see this underrated composer get his due. If that’s not enough, there are some additional odds and ends to round the package out. The first is an excerpt from an audio interview with actor William Finley. It’s just over five minutes but he gives a nice thumbnail sketch of working on the film – and it’s worth noting he’s the only one who acknowledges the budget/schedule problems that went on behind the scenes. There is also a brief reel of deleted scenes, also around five minutes in total, that were included in the t.v. cut to make up for edited content. Most of these moments are minor snips but you do get an interesting alternate version of the scene in which Buzz picks up Amy for their fateful date. The package is rounded out by a series of trailers for the film: in addition to the theatrical spot, there are a handful of t.v. spots and radio spots. The t.v. trailers are particularly interesting because one spot looks like it might have been shot as a stand-alone ad, with Elizabeth Berridge and Cooper Huckabee running through the funhouse in a panic before a p.o.v. camera pounces on them (this footage doesn’t appear in the film). All in all, The Funhouse offers fans a beautiful HD/lossless audio upgrade as well as a batch of fresh extras. Once again, Scream Factory has done well by a cult favorite horror film – and if you like this movie, you’ll want to add this set to your blu-ray collection.